Victoria, Texas, United States - Dr. John C. Stansell died unexpectedly Saturday morning, December 23, 2017 in Victoria, Texas, at the age of 73. John is survived by his wife, Sally; son, John Arthur (Ellen) and daughter Carrie (Trent Hicks) as well as his much-beloved granddaughters, Jenna, and Annabelle Sellars grandsons; John Henry and Emmett Stansell. He is preceded in death by his father, James Coleman and mother Vivian. John was born March 20, 1944, in Matagorda, Texas to James Coleman and Vivian Stansell and graduated from Bay City High School in 1961. He married Sally Machlan on March 27, 1965. Sally and John welcomed son John Arthur into the world in 1968, and daughter Carrie three years later in 1971. John was a kind, patient and loving father, who set a wonderful example for his children through a life so well lived. After his school, John attended Wharton County Junior College earned his BA from Texas A&I, his MA from University of Houston Victoria, and completed his EdD in 1976 at Indiana University. John began his teaching career as a graduate student at UHV, taught high school in El Campo was a professor of Education for twenty years at Texas A&M. He went on to become Department Chair at The University of North Texas for eight years, and then returned to UHV in 2006 as Dean. He taught his last class this Fall 2017 semester, and was a leading light in the field of Reading Education, touching countless lives in his roles as teacher, mentor and advisor. John was accomplished at singing and playing guitar, and often entertained friends and family with his favorite songs. He especially loved blues, folk, and protest songs. He was an intelligent, thoughtful individual who loved reading and who was passionate about education. He was an active and dedicated member of the Vestry at Trinity Episcopal Church, Victoria, Texas. From Steve: To those who know John Stansell, sad news. He passed last night. Services on Friday 29th in Victoria, Tx. Details later. Very sad. From Yetta: This is indeed very sad, and we will look for the later details. I did call Dorothy Watson to see if she had heard but she hadn't. As you might know, Dorothy was John's advisor and thesis director. From Sandra: I’m very sad to hear this. He and I were FB friends and we responded frequently to each other’s posts. I’m wondering if he was ill or if it was sudden. From Diane: Steve, thank you for posting whatever you are able to find out. John and I were close when we were at Indiana together and continued to correspond across the years. He was an old soul and gave freely of time and knowledge! He will be missed. In the early morning of May 2, 2018, Margaret died peacefully surrounded by love. She was, and always will be, deeply loved and cherished by her daughter, Anne Graff, and her son Keith Stevenson (Marcia Levar), and loved forever by her grandson Scott (Shauneen) Stevenson, whom she loved so dearly, and darling twin great-granddaughters, Aarya and Isla, so dear to her heart. She will be lovingly remembered by many caring family, friends and colleagues. 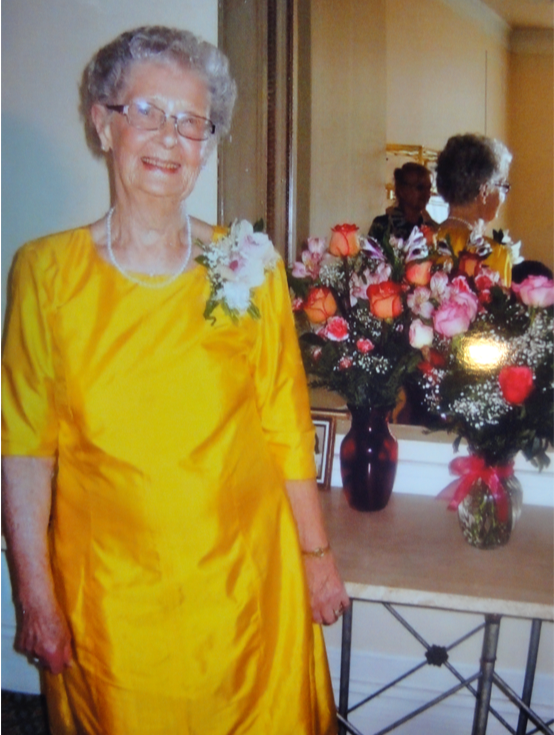 She was predeceased by her husband Andrew (1997), beloved son Morris (1968), sisters Lucille Hunter and Betty McPhee, brothers Bill and John McPhee. Margaret's life was one of grace and dignity, kindness and thoughtfulness, always nurturing family and friends and all those around her. 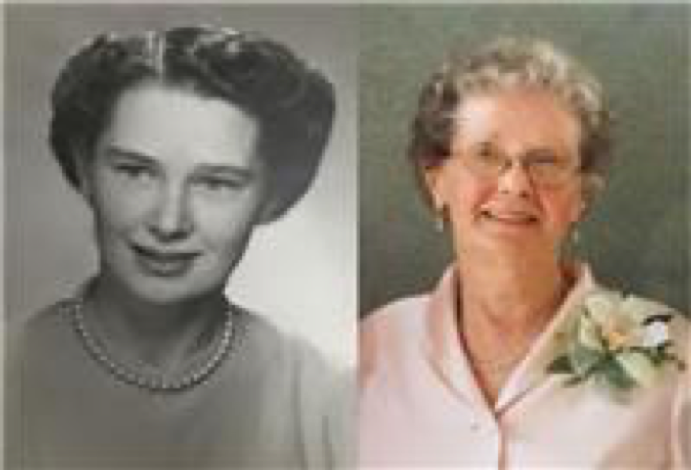 In her career as an educator she was a leader and a mentor, starting with her first year as a teacher in a one-room schoolhouse in Drumheller School District 1941-42. While Supervisor Language Arts K-12 with Edmonton Public Schools during the final 10 years of her work 1978-88, she focused on children's learning and the role of language in their learning. When she retired she took on and successfully completed her PhD in Education, her thesis entitled "Leadership in Education: Effecting Change", documenting the work she and her team had done. Margaret was always a strong advocate for children and worked tirelessly to provide high quality, ongoing professional development for educators. Her influence extended nationally and internationally. The family would like to express our very great appreciation and thanks to all the staff at Mel Miller Hospice Unit 9Y Edmonton General for their loving and compassionate care of Margaret during these past months. Just got a note from Margaret Stevenson . . . active in Canadian CEL group and a major administrator in the Alberta schools as well as an active WLU member. The CEL group developed at the same time and may even have predated Missouri or Tucson TAWL groups. She's in touch with Merv Thornton — Ken's student from Wayne State, a long time administrator in Alberta. I thought some of you might like to know a bit about each of them. I am very well. Looking forward to my 92nd birthday at the end of July. Before then, on July 4, daughter Anne and I will be traveling to Vancouver to see our family and friends. Today my twin great granddaughters celebrated their first birthday. They are just starting to walk--almost ready to take off on their own--so it will be exciting to spend time with them. We do miss him, and try to keep him up to date on all that is going on. Merv tends to stay home with his ailing wife, Jean, and do everything during the day. I was pleased to get a letter and photos from Margaret Stevenson. In addition to Jerry and Yetta¹s report I learned that Margaret is still driving, but lets her daughter Anne take her to night concerts, ballet, theatre, etc. Margaret keeps very busy: she is the Residents’ Association Secretary (Assisted Living facility) and does considerable writing for the group. For those who know Anne you will be happy to learn that she has fully recovered from her brain tumor surgery; all brain functions have returned. Margaret’s Language Arts group continues to meet for dinner once a month; all members are retired. Hard to believe that Margaret has been retired 25 years. BTW, I’m very happy to report that Carol Gilles has received the Outstanding Graduate Faculty Award at Mizzou. Very well deserved! AND Carol¹s husband, Jere, received the International Engagement Award. He was in Bolivia, so Carol accepted it for him. Again, well deserved! Nice to have good news for a change, Dorothy W.
Thank you for forwarding the TAWL Newsletter. Did you know that our group--so many years ago--was named CAWL--Children and Whole Language. Unintended consequence--the members were called "The CAWL Girls". Congratulations on receiving the award from WLU for your leadership and 25 years of support and hard work. for the first and second conferences. It was very exciting to see the presentations and how it all played out at the conference. I was very interested to see--in the newsletter-- the picture of Carol Gilles, Kathryn Mitchell Pierce, Barbara Bell and Paul Crowley (plus a lady I didn't know). with Kathryn and her 2 little girls--one was in a high chair--they may be mothers themselves now. And there was young Paul in the picture---with grey hair. How did that happen? I am well--still driving for one more year, then we will see. Anne is fine and very active doing volunteer work at the University Hospital--in both the children's and the adults' wards. It has been 6 years since her brain tumour surgery and everything is normal again. We are blessed. In May, I am hoping to attend the 23rd presentation of the Margaret T. Stevenson Talented Young Writer Award. Since 1994, this award has been presented yearly by Edmonton Public Schools to a Grade 8 student in the District. The very first winner--now in her thirties--teaches Economics at Columbia University in New York City, last I heard. Haven't been able to keep track of many of the winners. I am keeping fairly well, Jerry. Will be 95 in July. Stopped driving a year ago but daughter Anne, who lives 10 minutes away, drives me to appts. I have a friend who observed that once you get into the Health Care System here you have a new career. Takes all your time.